Dr. Winfield Morrison was the patriarch of Minonk in the first half of the 20th Century. He was born in Minonk in 1880 and graduated from Minonk High School in 1898. He taught in a country school five miles east of Minonk before entering Hahnemann Medical College in Chicago from which he graduated in 1905. He returned to Minonk to spend the next 54 years practicing medicine in his hometown. His first baby that he delivered was John R. Uphoff who died in 2000 at the age of 94. In the early years of his practice he would make house calls by horse and buggy. Dr. Morrison was a member of the First Baptist Church, Past Master of Masonic Blue Lodge, Bloomington Consistory and Peoria Shrine. He was on the Staff of St. Mary's Hospital in Streator and served as Coroner of Woodford County in 1908. He married Edith Buffet of Dixon in 1908 and they became the parents of two sons, Winfield Scott, Jr. and Robert William. In 1926 they built a new home at 631 East Fourth Street where they lived until their deaths. Dr. Morrsion was the quintessential country doctor with his sense of humor and easy bedside manner. He was an early advocate of the placebo effect prescribing a bottle of either pink or lime green medicine for your ailment. His office was 30 steps upstairs over the Minonk News-Dispatch building on West 5th Street. The saying was that if you were well enough to climb the stairs to his office then you weren't sick enough to see him. 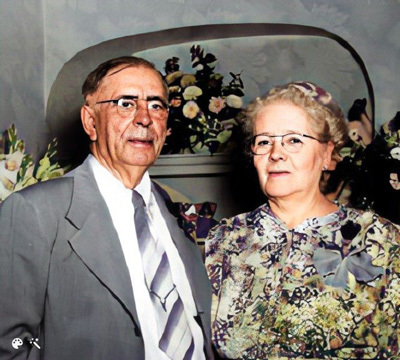 Dr. Morrison shown with his wife Edith. 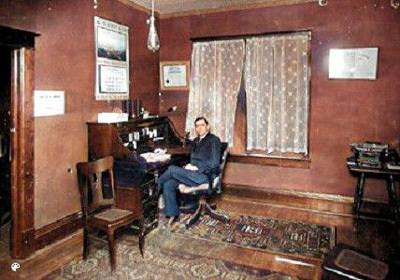 Dr. Morrison is shown sitting in his office above the old Minonk News-Dispatch Building on West Fifth Street in this early photograph. He was a lifelong White Sox fan and had an autographed baseball of his favorite White Sox players on his desk. Unfortunately, he passed away in August of 1959 one month before they won their first pennant in 40 years.